You are Never Too Old to Set Another Goal! – Motivational Mantras!! I feel, we are senile by our mind and not by our age. There are still young minds, new ideas, great plans with people who are above 50 or 60 and they can be the real change makers as well. Everyone dreams in life but some let their dreams die with time and some nourish them throughout without caring about the circumstances and ultimately make it up. The difference is that, there are some people who are never ready to give up, who are never ready to stop dreaming and who never let the appetite of achieving more die inside them. We all have heard that “Every end is the new beginning“. Then, why to stop after accomplishing a goal or a plan in life? Why not start again for the next goal? Why to make our success limited to one or two things if we can make the most of it? My friend, we only get one life and we should be ready to move on start right now for everything we want to achieve in our life. But, it doesn’t mean that we should start for all our goals at once for that will lead us no where. One thing should be done at one time and that is how we should plan our growth. When we have achieved a target completely in our life, then we can start for a new one and like this we can achieve more and more in life. 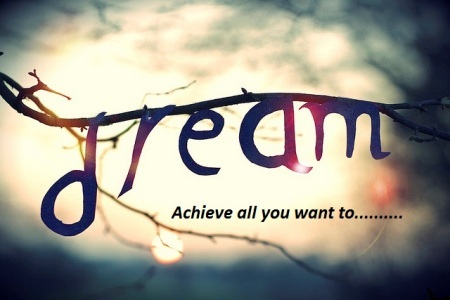 Even if you’ve been successful is achieving a goal of your life, why not dream more? Why not plan more and set new targets and start achieving them? Why not take new challenges and experience new and unique things every time? Let us enjoy this journey of life by achieving all that we can. Remember the famous quote by C.S Lewis “You are never too old to set another goal or to dream a new dream“. We humans are full of experiences and have learned and tried many things in life. Whether it is a sport, an activity, academics, arts, music etc etc etc, all of us have different talents embedded inside us in different ways. But only few of us have the courage to make something out of them and very few of those few want to make it again and again. Let’s be in those very few who want to accomplish the goals one after one in their life and are not ready to restrict themselves from achieving more. We can start any time, set a new goal anytime in our lives, no matter how old we are as age is just a matter of fact, but if you have the zeal to achieve something in your life, you can achieve it. Dream again, Live again and Master all your talents! Previous The Expert too was once a Beginner!